Amitabh Bachchan’s Diwali bash is one of the biggest parties of Bollywood. This year too, we saw a number of Bollywood celebs at Jalsa for the big party. Here are a few anecdotes from the evening. 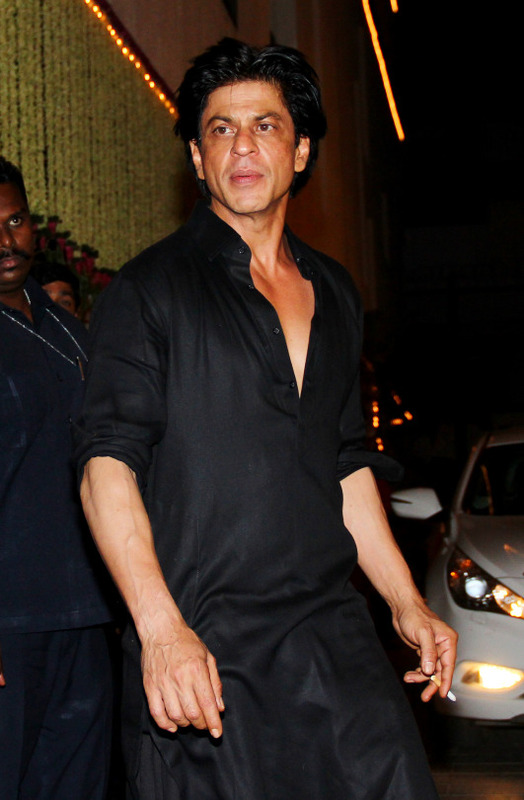 For a change, Shah Rukh Khan clad in all black, made an appearance at the party with a cigarette in hand. He was not in usual jovial mood. Also, he appeared in the party on time. He left early also. Akshay Kumar came early and left early. For some reason he is unable to give up his salt and pepper beard. We are told that this look is for one of his forthcoming films. He looks serious in this picture but he was in his usual chirpy self. Ranveer Singh and Deepika Padukone arrived together and looked gorgeous as usual. The couple came together and left together. This pretty arrival actually shut up most of his critics who had said that the two are having a fight. Jacqueline Fernandez is looking a lot healthy in this picture. However, we like this picture. Aren’t we all have gown healthier after snacking on the Diwali mithais for the last five days?